Incorporated in 1725, the Town of Easton is located 30 minutes from Boston, 45 minutes from Cape Cod, and 45 minutes from Providence. The community is approximately 29 square miles in area and has an estimated 2010 population of 23,357. Easton is governed by an Open Town Meeting and the executive branch is made up of an elected five-member Board of Selectmen, serving three-year terms. The Board hires a full-time Town Administrator to supervise the daily operations of the government..
Easton, although primarily a residential community, has experienced rapid and positive growth over the last decade. Recent development includes two major shopping plazas and provides residents with the convenience of shopping at major retailers. There are three supermarkets, easily accessible from any part of Town. The Easton Industrial Park is located just off Route 24. Easton also has an active and vibrant small business community, and the Easton Chamber of Commerce provides services and support to its members. There are a variety of restaurants; both large scale and family style, offering the residents not only fine dining options, but different ethnic traditions as well. Easton citizens have a long history of supporting an excellent school system. The renovation and expansion of the Oliver Ames High School and the Easton Middle School was completed in October, 2008, providing students with modern, state of the art facilities and a show case 1200-seat auditorium. Oliver Ames is a comprehensive high school designed to meet the educational needs of all students and offers a broad range of honors and advanced placement courses. 2008 MCAS scores placed Oliver Ames students in the top 10% in the state in English/language arts and the top 25% in mathematics. The high school has received recognition and awards for its music programs: jazz band, marching band, chamber orchestra, and show choir. There is a tradition of achievement in girls’ and boys’ sports with many championships over the years. Construction on a new high school stadium began in December, 2008. The Town is also home to Southeastern Regional Vocational Tech, offering secondary school students an alternative to a traditional high school curriculum. Vocational training includes instruction in early childhood, automotive tech, graphic communications, computers, metal fabrication, and many other areas. The Regional School provides post secondary education through a variety of day programs and continuing education night courses. Stonehill College, a private Roman Catholic College founded in 1948, is a nationally-renowned baccalaureate institution. The College offers its 2347 undergraduates a choice in over 70 academic programs in the liberal arts, sciences, and pre-professional fields. Recent redesign of the 375-acre campus created a “walking campus” which includes ponds and wooded trails, complimenting the Town’s dedication to preservation and conservation. A new 89,630 sq. ft. Science Center is currently under construction with a completion date of May, 2009. The College is an integral part of the Town, supporting the community with student teachers and with educational and athletic facilities. The campus remains active during the summer months, hosting both educational and athletic camps for children. Easton offers its citizens the enjoyment of the Natural Resource Trust “Sheep Pasture” and Borderland State Park. Approximately 15% of the community is dedicated conservation land. The Town is a participant in the state matching Community Preservation Act program and recently voted to purchase a $1.3 million parcel adjacent to Wheaton Farm, continuing a long-standing commitment to preserve open space. The Town's history is uniquely connected with the establishment of the Ames Shovel company in 1803 and the Ames family through many generations. The Ames family not only shaped the Town's economy, but also its geography and architecture. In the late 19th century, the family created a remarkable legacy by donating several landmark buildings to the Town. This was noteworthy not only for its benevolence, but for its architectural significance; the famed architect H.H. Richardson designed Oakes Ames Memorial Hall, the Ames Free Library and the Old Colony Railroad Station. The estate "Wayside" built in 1912 was donated in 1960 to the Town and currently serves as Town Hall. The community continues to preserve these buildings today as part of the proud heritage of Easton. 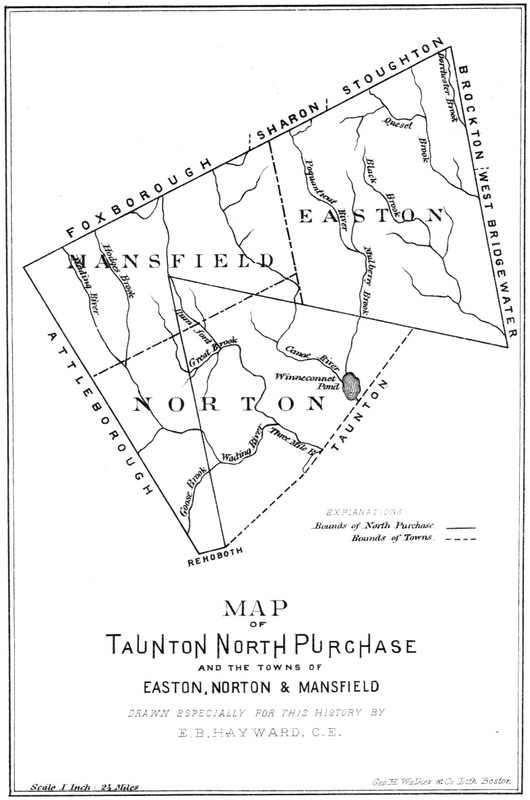 Easton is a pretty, pleasant suburban community now, but the town began its history as the rough frontier of the Taunton North Purchase and acted as the hunting, fishing and lumbering preserve of early Taunton settlers. Permanent settlement by colonists about 1695 and formal establishment of the town in 1725 led to an impassioned controversy over the location of the town meeting house, which split the early community. TRANSPORTATION AND ACCESS: Easton is situated in the Greater Brockton Area, which is strategically located between State Route 128 and Interstate 495, the inner and outer loops around Boston. State Routes 3, 24, and 28 provide easy access to the air, port, and intermodal facilities of Boston and Providence. Major Highways: Principal highways are State Routes 106, 123, and 138. Train Stations in Stoughton and Mansfield. Bus: The Council on Aging provides paratransit service to the elderly and disabled. Bloom's Bus Lines provides commuter service from the commuter lot in West Bridgewater at the Park & Ride and at the Raynham Dog Track. Other: Taunton Municipal Airport, a General Aviation (GA) facility, has a 3,496'x 75' asphalt runway and a 2,350'x 150' gravel runway. Instrument approaches available: Non-precision. Mansfield Municipal Airport, a General Aviation (GA) facility, has a 3,496'x 75' asphalt runway and a 2,200'x 100' turf runway. Instrument approaches available: Non-precision.